The seventh annual Business of Small College Athletics (BOSCA) workshop was held last month in Oklahoma City. 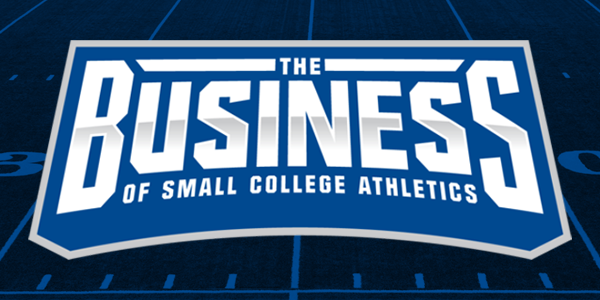 Organized by Oklahoma City University AD Jim Abbott, BOSCA is a day and a half deep dive into revenue generation issues facing every small college AD. 1) Every university president wants the AD to be a fund raiser. When a big part of your job is to be athletics Fund Raiser-In-Chief, you know you need to engage your audience before they will invest. To merely present a need is not enough. The key to engaging your audience is to communicate your “why.” Why is your program a worthy investment? That “why” is the reason your audience will care, becoming invested both financially and emotionally. Small colleges are unique. In many cases, the institution fills a niche in the education market, serving a specific purpose or need. Effective brands are differentiated brands. Your institutional “why” is a differentiator that applies to your athletics program as well. Embracing that “why” helps attract the kind of support consistent with your institutional niche. 3) You don’t develop external support until you develop a pride from within. Take it to the bank: one of the inviolable laws of branding is if the internal audience doesn’t buy into the “why” of the brand, the external audience most assuredly will not either. Do your coaches and staff have reason to believe in the mission and vision of your program? Are they all calling the same plays from the same brand playbook? Internal unity and buy-in is a non-negotiable prerequisite to external success. BOSCA was loaded with great revenue generation ideas. When those ideas are backed up by a brand firmly grounded in your “Why,” all the moving parts of your revenue generation puzzle will begin to snap into place. For more thoughts on the importance of the "Why" in branding, listen to episode 2 of the HSW Sports Branding Podcast. To get Jim Abbott's thoughts on brand and small college athletics, listen to episode 10 of the podcast.